What are the GOP’s concerns? 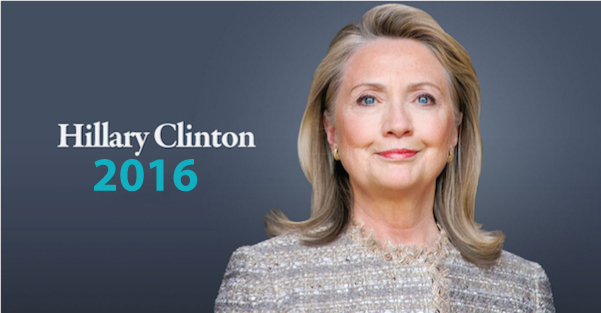 While Republicans fear none of the above, they do fear one person: Hillary Clinton. Is it that they fear a woman as President, that she is seen as too liberal, or that she favors universal background checks? This entry was posted in Economics, Education, Environmental, fracking, Immigration, Political, Shutdown, Terrorism, War and tagged fear, Hillary Clinton. Bookmark the permalink. 5 Responses to What are the GOP’s concerns? 4 Americans killed by terrorists on the other side of the globe. 9 Investigations. Over 35,000 Americans at home in the USA killed EVERY YEAR by guns. No problem. She’s a woman. If there’s one thing they don’t like, it’s women who control their own lives, express themselves, and (God forbid) lead. I agree, the other possibilities mentioned seem insufficient to explain the anger, even hatred, expressed. But paradoxically, many seem to have approved of Margret Thatcher. Mrs. Clinton is a woman, with a great deal of foreign policy experience. Those two facts alone are anathema to the new breed of Conservatives and Republicans. It only makes sense to them to attempt destroying Mrs. Clinton’s foreign policy prowess by continuing to chew on the Benghazi bone. Her “damned emails” scandal seems to be the only attack that could hurt her campaign, and even the damage of that attack , seems to have stopped at the first Democratic Presidential debate. One other thing. Hilary Clinton is no stranger to the corporate world – she knows how they operate, and she would know how to help curb their oligarchic tendencies. Not saying she would do it – but if she did, that alone could terrify Conservatives/ Republicans; their corporate owners are the bread and butter of their existence. I really don’t think being a woman., per se, has anything to do with it. After all, the GOP nutcases support Sideshow Sarah Palin, Carly (CEO failure) Fiorina and Greta (the sweet talker) Van Susteren. They simply don’t like anyone who support the rights of poor women and poor people in general. As long a s a woman toes the right wing line and dumps on poor women, she is acceptable. But anyone, man or woman, who thinks that poor folks should have rights (like voting, decent wages, access to quality health care, access to abortion and birth control, etc.) is evil in their eyes.